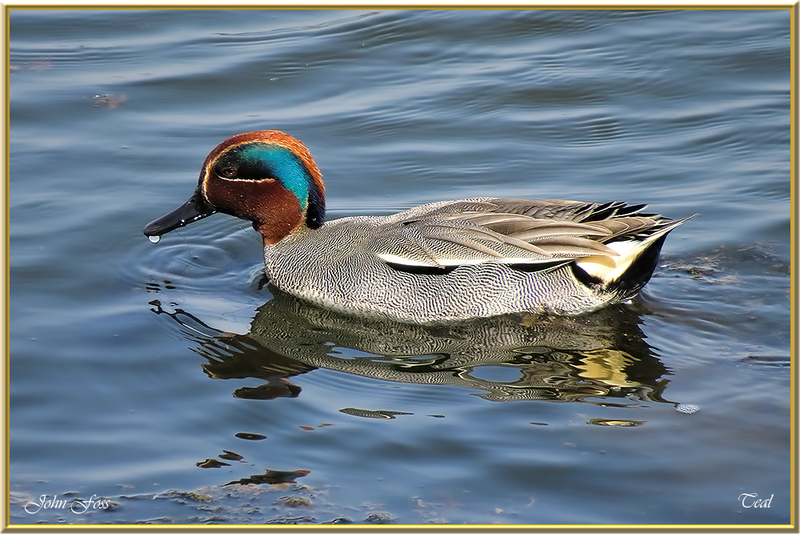 Teal - Smallest European duck. 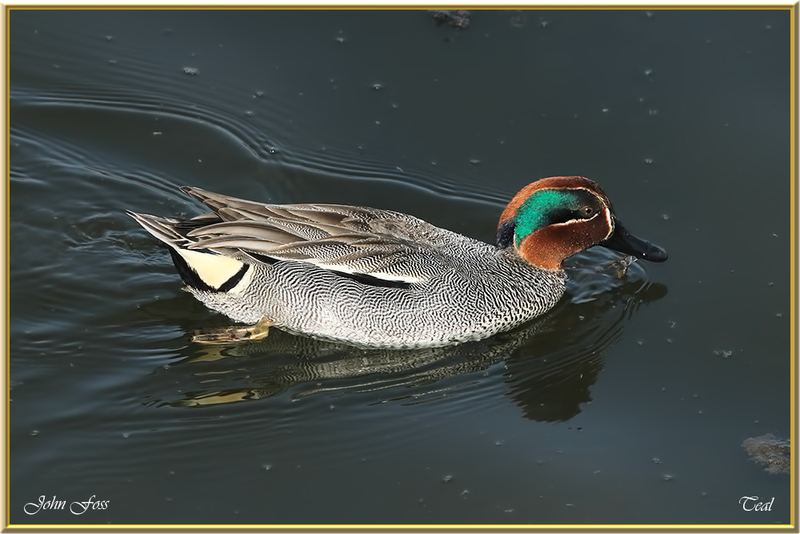 The male Teal is easily identified by his metallic green eye patches! 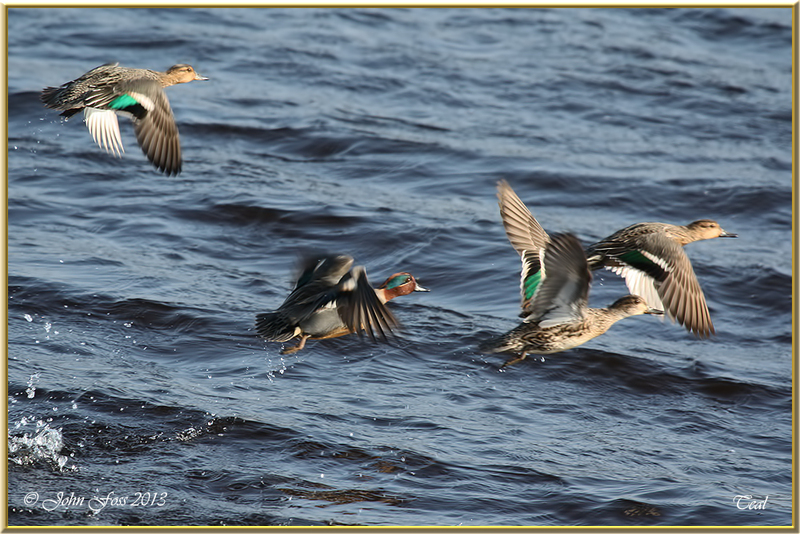 There is also a bright golden patch under the tail. 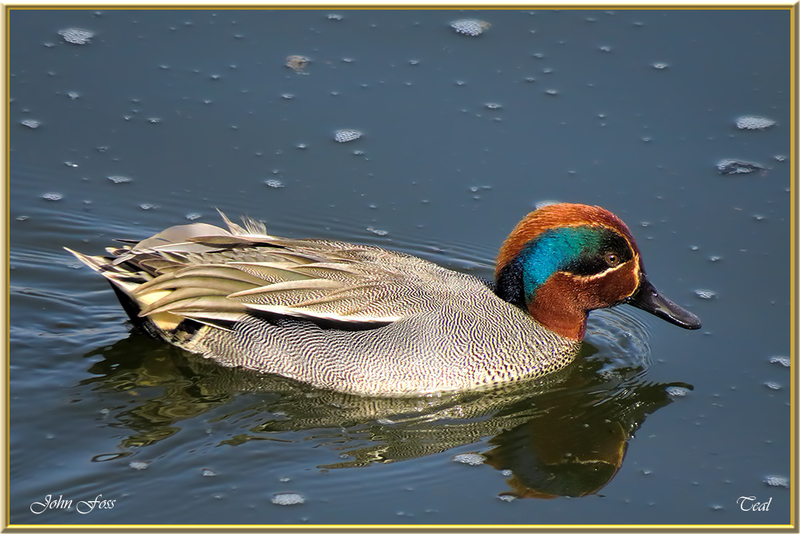 Sometimes known as the Green-winged Teal. 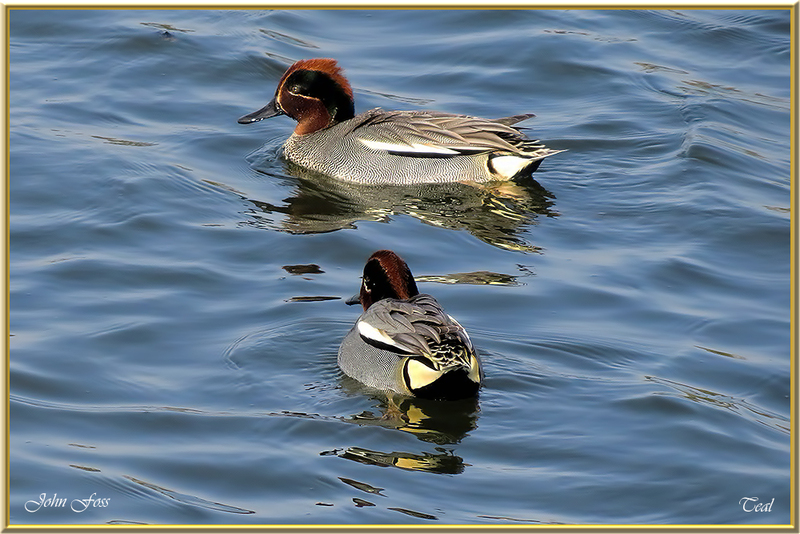 It frequents freshwater wetlands, reed-beds, small lakes and ponds. 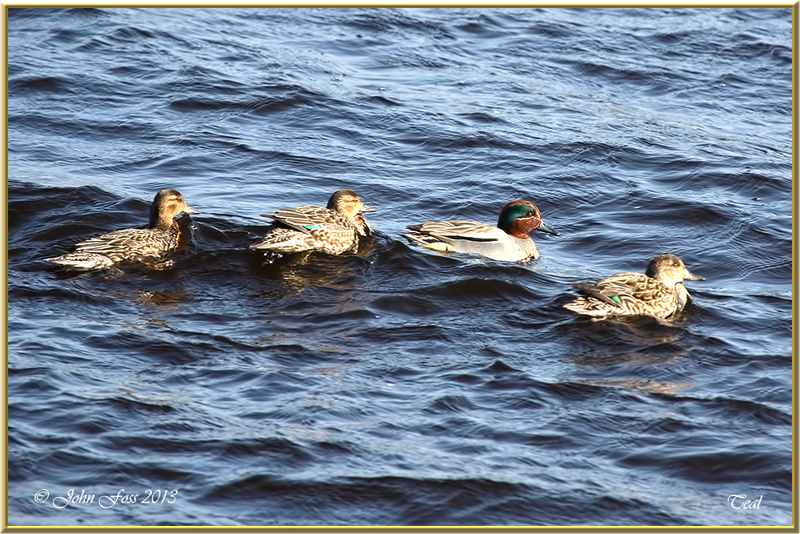 These photographs were taken at Deepwater Quay Sligo Harbour Co. Sligo and Ludo salt lakes in Portugal.